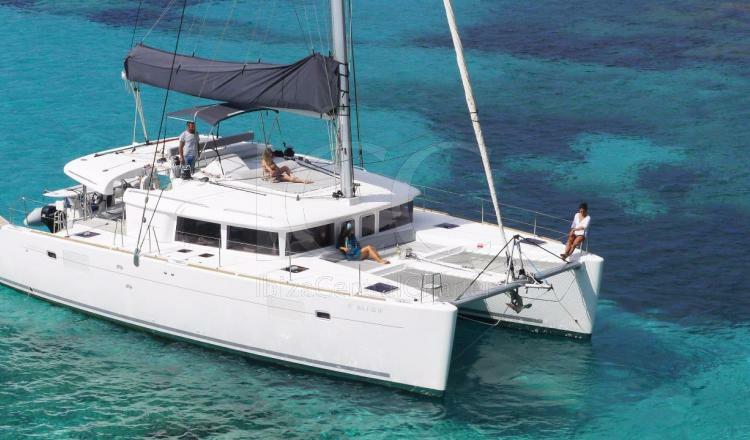 Spectacular catamaran 14 meters long and can accommodate 10 people ideal for sailing with family or friends. 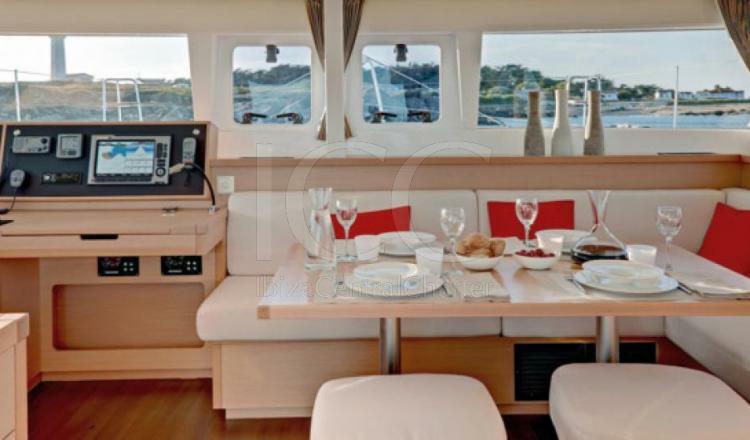 This catamaran, having two hulls, offers exceptional sailing conditions, providing greater control and stability during navigation, high security and great interior roominess. 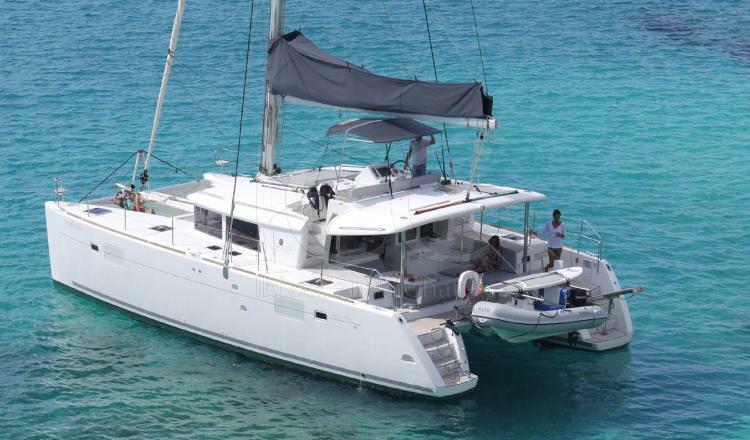 This catamaran is able to satisfy the demands of any sailor. 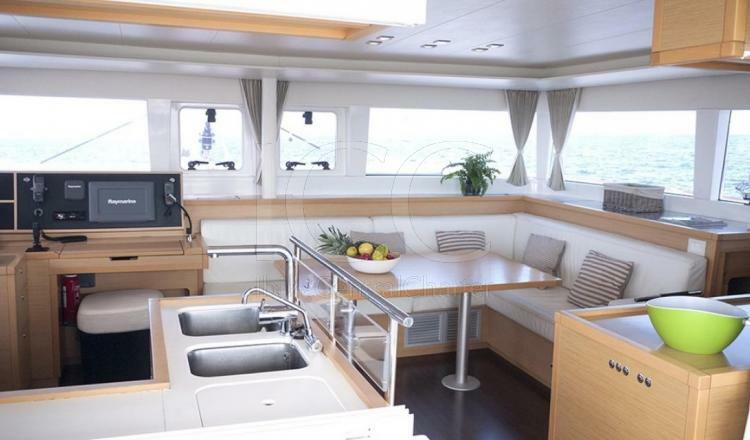 Internally, it has 4 cabins , 4 bathrooms overnight allowing a total of 8 people. The cabins are very comfortable and spacious. 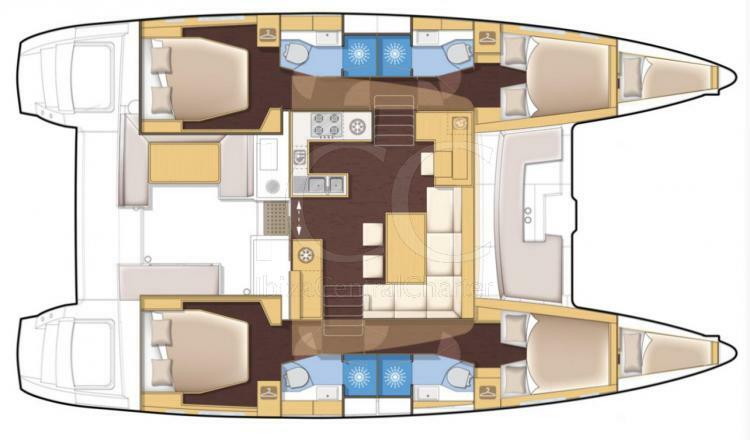 It highlights its large living room, spacious ideal to have a very pleasant life on board. 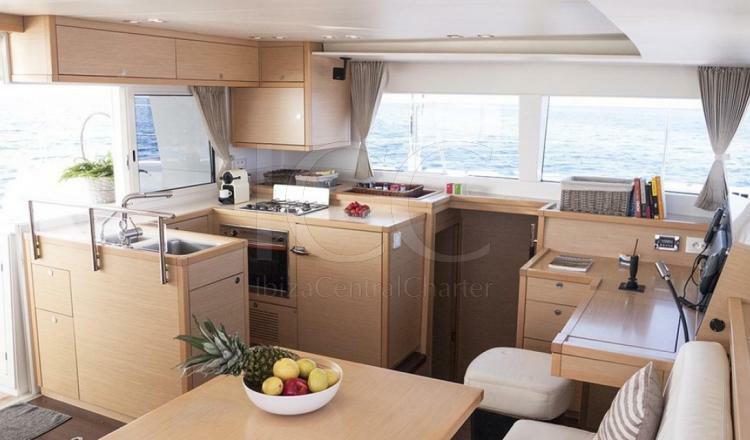 It incorporates a very majestic post controls and a fully equipped kitchen. 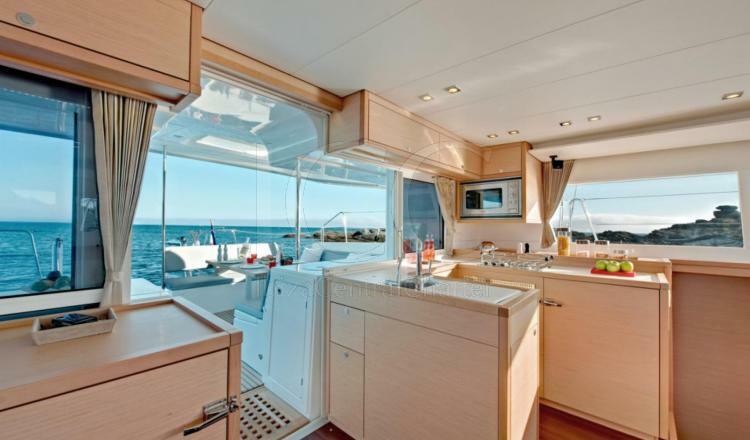 On deck, it highlights its solarium bow ideal for sunbathing and relaxing or where the children can play. 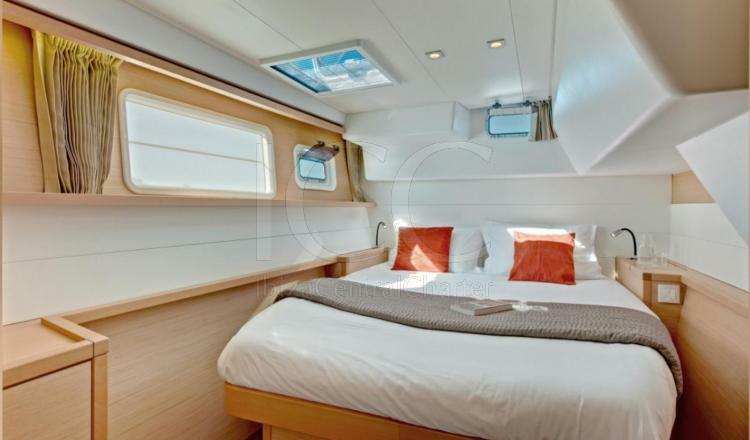 The stern is very open and secure, connected to the living room inside, ideal for relaxing and access to water through well integrated bathroom platforms. It has a very balanced aerofoil obtaining amazing cruise speed and a lot of control in all weather conditions. - Home port mooring (Barcelona). - Boarding and last night’s mooring in Ibiza town (Club náutico Ibiza). - Paddle surf and dinghy with 15 hp engine. 50% on booking - 50% 4 weeks prior to rental date. Payments can be done via wire transfer, credit cards or cash. Extras and skipper: In cash or credit card prior to boarding. Deposit: € 1000 with skipper. Payment by credit card Visa-Master card or cash before boarding. All payments must be made before the Charter.